Lawrence Krauss received undergraduate degrees in mathematics and physics with first class honours from Carleton University in 1977, and his PhD in physics from the Massachusetts Institute of Technology in 1982. After some time in the Harvard Society of Fellows, he became an assistant professor at Yale University in 1985 and Associate Professor in 1988. He was named the Ambrose Swasey Professor of Physics, professor of astronomy, and was Chairman of the Physics Department at Case Western Reserve University from 1993 to 2005. In August 2008 he joined the faculty at Arizona State University as Foundation Professor in the School of Earth and Space Exploration and the Department of Physics in the College of Liberal Arts and Sciences, and Director of the University's Origins Project. In 2009 he helped inaugurate this initiative with the Origins Symposium, in which 80 scientists participated and 3,000 people attended. 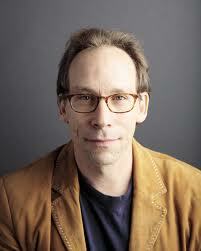 Krauss is also a critic of string theory, which he takes on in his 2005 book, Hiding in the Mirror. His newest book, released in March 2011, is entitled Quantum Man: Richard Feynman's Life in Science, and a major new book is forthcoming in Jan 2012, entitled A Universe from Nothing: Why There is Something Rather than Nothing, with foreword by Christopher Hitchens and afterword by Richard Dawkins.